…yeah. Good luck. The charts were written for left-handers, i.e. 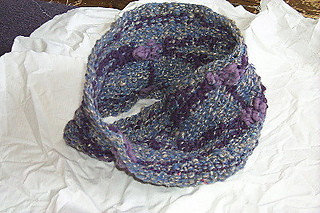 me, and assume you already know how to knit a M"obius band from the central circle outwards, with scrap yarn. Be warned, but have two tips anyway. (1) A curved arrow on the diagrams indicates that one should start a new piece of yarn. 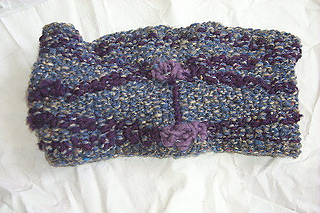 (2) Begin by casting on 72 stitches in cotton. 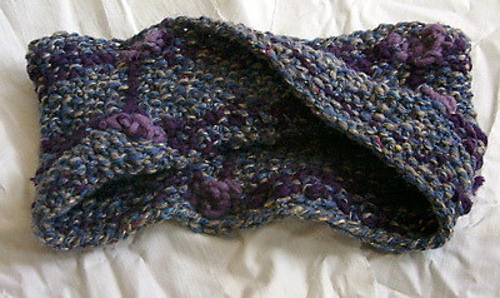 (One can’t use a scrap-yarn-less construction because of the color changes along the central circle.) This makes it easier to pull out the cast on than if one uses wool.